Give the kitchen the night off on April 24. Go enjoy some tasty Texas Style Barbeque. You don't need to be a band member, or a Dartmouth student, or even know a dartmouth student! 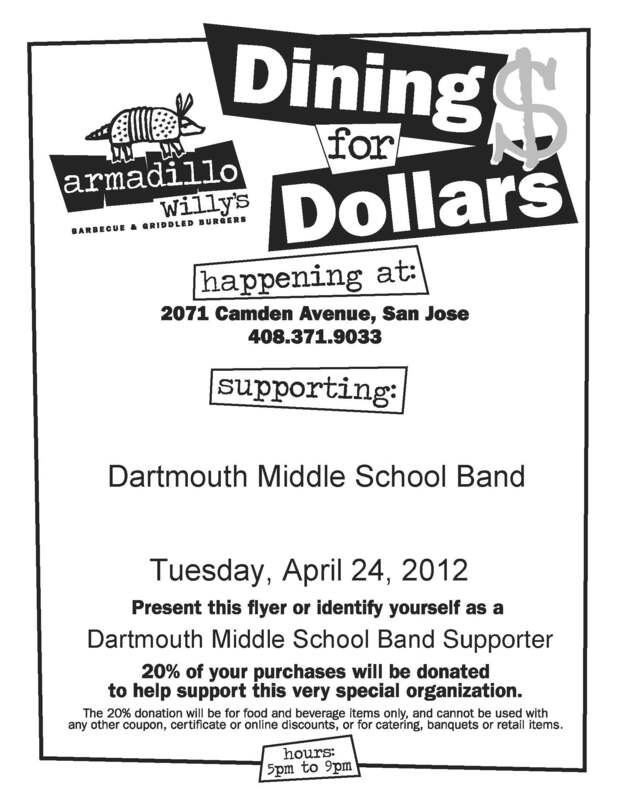 Just print out the attached flier (or mention Dartmouth Bands at the register) and 20% of the proceeds will be donated to Dartmouth Middle School Bands.